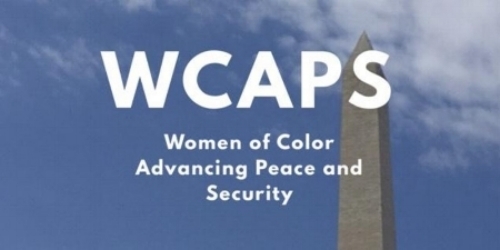 On April 5, Women of Color Advancing Peace, Security and Conflict Transformation (WCAPS) and the Foreign Policy program at The Brookings Institution will host a discussion on the implications of this complex political environment in which domestic and foreign policy decisions influence each other. The discussion will outline how evidenced-based policy analysis and dialogue can inform a comprehensive U.S. policy. You can read the report here. On March 25th and 26th 2019, WCAPS collaborated with the Union of Concerned Scientists in meeting with congressional staff members and other entities, such as the NAACP and National Urban League, to discuss the need for diversity on nuclear weapons policy issues. Adrienne Gaither’s series How I Got Over will serve as the foundation for a dialogue with the artist and Ambassador Jenkins. Recounting recovery from traumatic events, reflecting their impact and visualizing what it means to become “whole” again, Gaither reclaims geometric abstraction for the purposes of healing. Though bright and colorful, the paintings have undertones of violence in an attempt to affirm the trauma and recovery process as valid and deserving of space and recognition as a survivor. Gaither attempts to normalize the conversation around trauma, recovery and the space it occupies in our human existence. The work provides a platform for a discussion of the intersections of race, gender and dignity in our society. 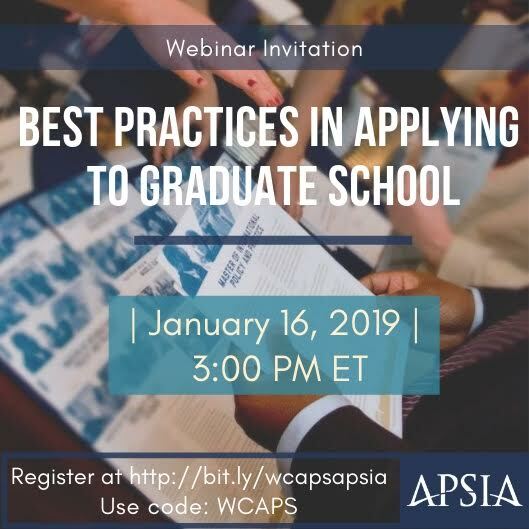 Come join colleagues from WCAPS to share thoughts on challenges facing women as they pursue the next stage of their careers, and ways to break the glass ceiling. Refreshments at 5:30 and discussion starts at 6:00. After the discussion, there will be time to network with other WCAPS members. Feel free to bring your friends. We look forward to seeing you there! Registration is free and at the url below. The code is "WCAPS". 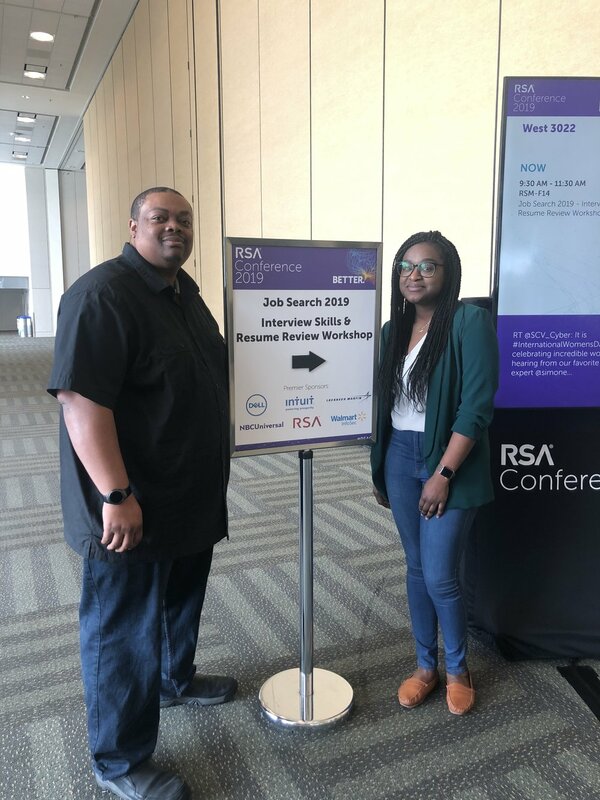 Participants at the February 7th Mid-Career Hustle event. 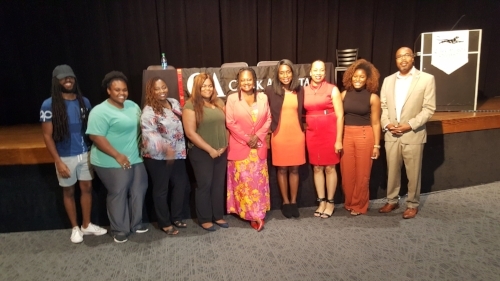 WCAPS leadership and students from Clark Atlanta University, Morehouse and Spelman Colleges. Panelists at the WCAPS, AHIC, Childbirth Survival and CFA Access to Health discussion. On June 18th (new date), the Hudson Institute and Women of Color Advancing Peace, Security and Conflict Transformation (WCAPS) will host a discussion on “Promoting a Diverse Perspective in Nuclear Nonproliferation.” Representatives from the government, think tanks and foundations will share their views on the value of having a diverse perspective on issues of nuclear policy and nonproliferation and challenges they see and have encountered in bringing more people of color into the nuclear field. 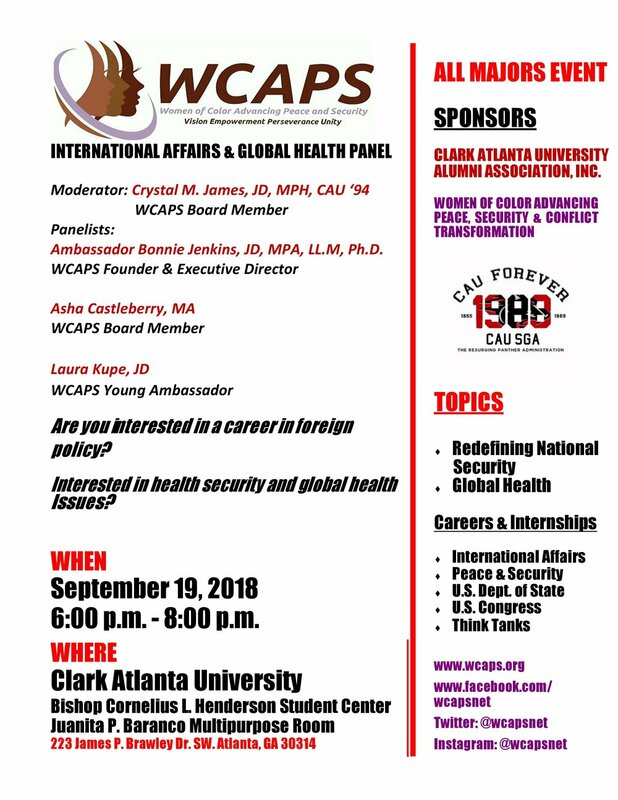 We will also discuss the pathways in which people of color have entered the nuclear field and what are the lessons that can be learned from their experiences. See below for additional information. Register at weitz@hudson.org. Join us for the WCAPS Art Forum’s inaugural event: a screening of Taja Lindley’s short film, This Ain’t A Eulogy: A Ritual for Re-Membering. 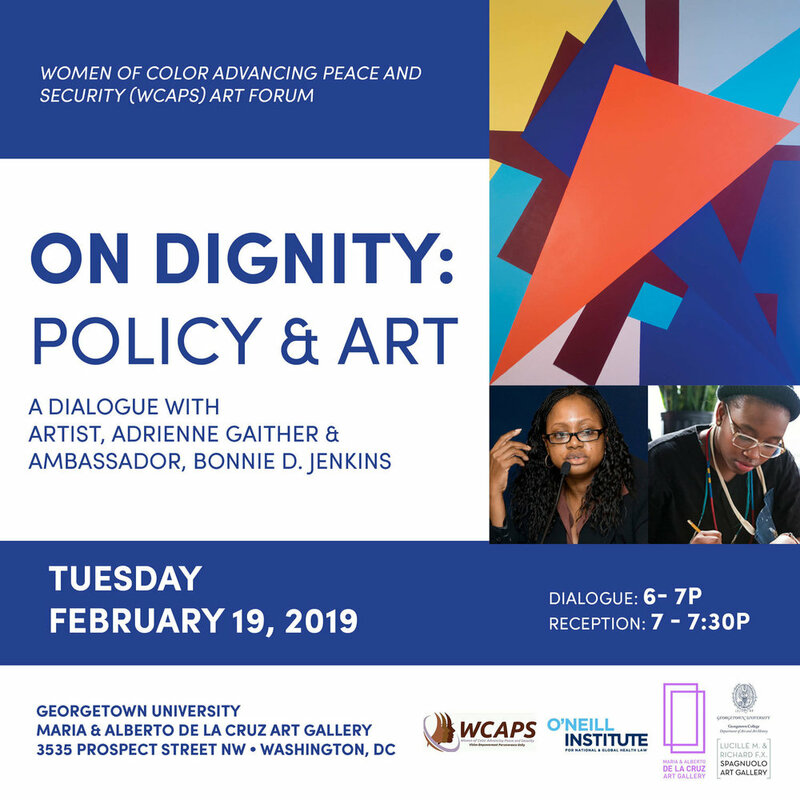 The screening will be followed by a discussion between Lindley and Ambassador Bonnie Jenkins on the intersections of women, race, and dignity in our society, through the lens of art and policy. 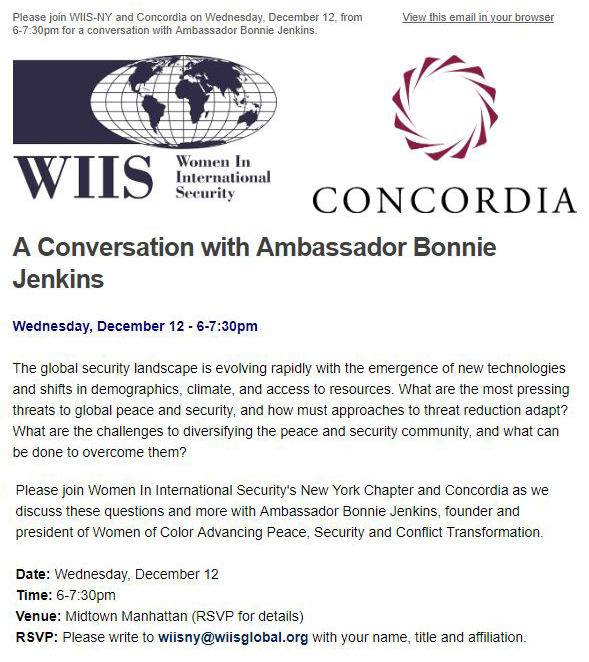 The event is presented by Art to Zebras, New York University Hemispheric Institute of Performance and Politics, and Women of Color Advancing Peace, Security and Conflict Transformation (WCAPS). The event takes place at the Hemisphere Institute in New York. You can register for the event here. On May 24th WCAPS hosted a discussion on the role of global health and infectious disease in national security. 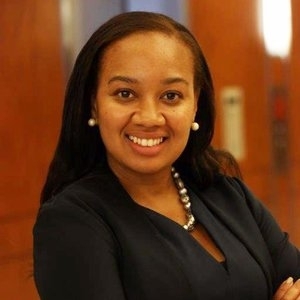 Our featured speaker is Nicolette Louissaint, the Executive Director and Board President of Healthcare Ready. Healthcare Ready works to ensure continued patient access to healthcare by strengthening public-private collaboration. She was a Foreign Affairs Officer and Senior Advisor to the State Ebola Coordinator at the U.S Department of State. This discussion is part of WCAPS "Redefining National Security" series of discussions and panels. On May 15th at 2:00 pm WCAPS featured Lia Miller who discussed the topic of, "The World Is Your Oyster: How to Build a Career in Foreign Affairs." Lia Miller is a Department of State Career Foreign Service Officer and has published numerous articles that provide extremely useful advice on pursuing a career in international relations. WCAPS and Brookings Institution co-hosted a joint event, "Redefining National Security," on May 11 at Brookings in Washington, DC. 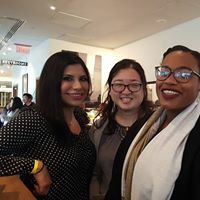 Please click here for the audio and video recordings from the WCAPS and Brookings Institution event "Redefining National Security"
Then WCAPS hosted a happy hour networking event on May 11th to take place at Vapiano at 1800 M Street, NW in Washington, DC. 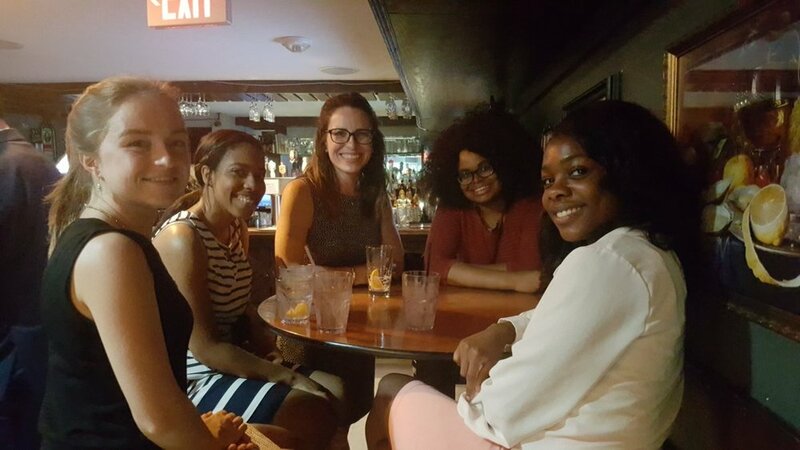 The Women of Color Advancing Peace & Security Youth Ambassadors Program (YAP) hosted its first happy hour networking event on April 7th to take place in Washington, DC.